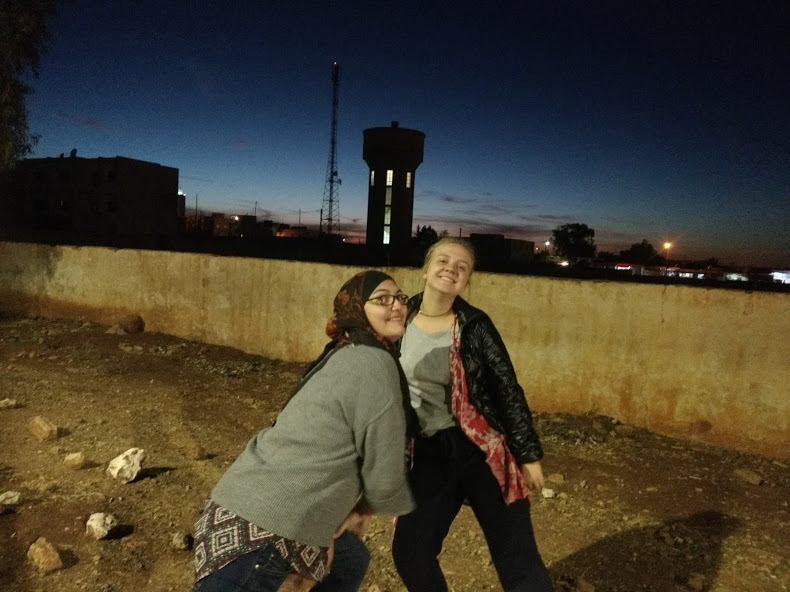 Lillian is from Fargo, ND and participated in the Morocco Academic Year 2017-2018 program. 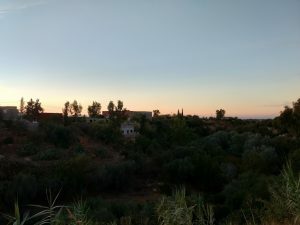 In late November of 2017, I found myself huddled with two of my friends in a cold house in rural Morocco. During my gap year abroad, I had to get used to a lot of new things. I learned a new language, learned about a new religion, and learned how to navigate in an entirely unfamiliar environment. After two months of living in Rabat, my group took a cultural excursion. 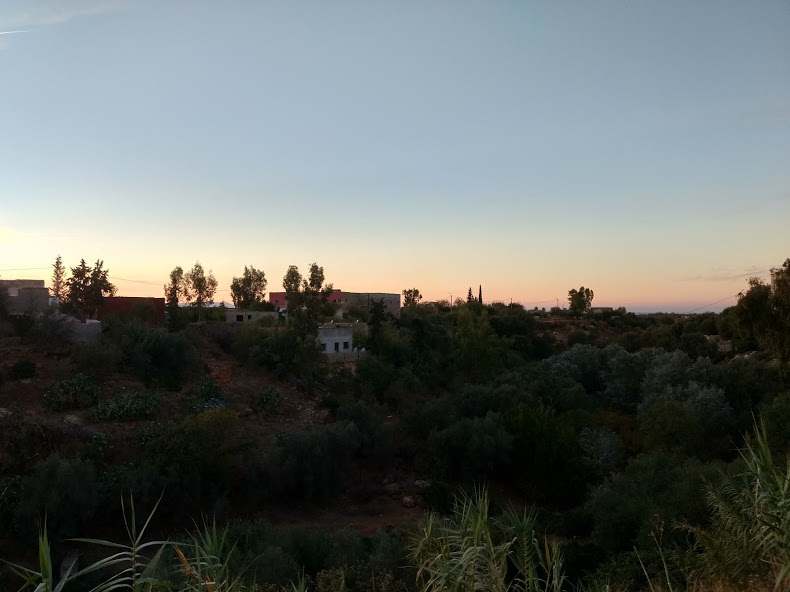 We stayed with host families in a tiny village near Fez. I was nervous, but I expected to learn a great deal about Moroccan culture. As the bus slowly got closer to my family’s house, I felt a pit growing in my stomach. I was going to be staying with two other girls from my program, but I was still nervous. We were all beginners in Arabic and had very basic skills. As we walked up to the square concrete house, two little girls ran out and started screaming “come in, come in!” We quickly learned that they were our host sisters. The older one grabbed our hands and dragged us into the foyer. She led us first into the bright blue kitchen where a gentle looking woman, our host mom, was slicing carrots and zucchinis for our dinner. The smell of fresh Moroccan harcha, a bread made of semolina, filled the room. I can’t forget how kind her eyes looked, and how they crinkled when she shook our hands. “welcome to our home, it’s your home now too!” she said as she led us into the formal living room, which had been converted into a makeshift bedroom for our stay. She led us into the dining room where our host father sat. “Welcome to our house, we hope you will be comfortable here!” he said, trying his best to speak slowly so that we would understand his Arabic. We were so grateful for the warm welcome, and soon I felt much less uncomfortable. That night, the entire family gathered around the round table for a huge dinner. My host mother had spent hours preparing food. 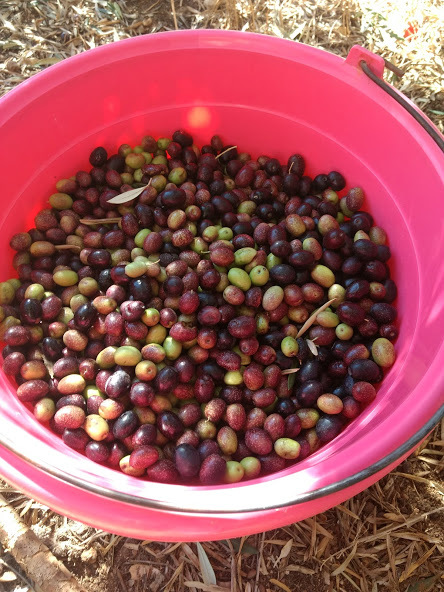 There were four different types of bread, a perfectly spiced stewed vegetable tagine, sweet juicy dates, fresh olives from the grove down the street, and a spongy orange cake. We dug in, talking and laughing the whole time. That night, we went to sleep full and happy. Even though we were cold and slightly homesick (and struggling to figure out how to use the squat toilet), we were happy to be there. The next morning, there was a lovely breakfast of sweet bread and honey waiting for us on the table. “Do you want me to make you couscous for lunch today?” asked our host mom. Couscous is a very special meal in Morocco, reserved only for Friday’s after mosque and guests. We enthusiastically agreed and headed off to start the day. We ended up spending the day picking olives and seeing how olive oil is pressed. Time passed and we forgot completely about lunch. We ate couscous at another host families house instead, figuring that we could just explain what happened and all would be well. When we returned home in the evening, the first thing I noticed was the disappointed look on our host mother’s face. Our host father looked sternly at us and said “You didn’t come home for couscous… she worked all morning to cook it. We waited for three hours but you didn’t come.” I was immediately overcome with a wave of immense guilt. I knew that we had made a horrible mistake. These people had welcomed us into their homes and treated us with kindness, yet we had offended them. The rest of the night was painful. She quietly served us reheated couscous in the dining room while the rest of the family ate a separate meal in the living room. They talked and joked with each other, we ate in guilty silence. We were extremely remorseful, yet also slightly shocked. Before that moment, we had not realized just how important food is in the Moroccan context. Food represents hospitality and welcoming. Throughout the next day, we were still riddled with guilt. We apologized profusely, but our language was not strong enough to fully explain that we knew we had made a mistake and that we were so sorry. Truthfully, I thought that we had ruined everything. I didn’t think that our family would ever want to host again. However that night, something miraculous happened. I was taking a nap before dinner when a tiny hand shook me awake. It was the younger sister, and she was handing me a gift! Her parents stood behind her beaming as she handed me a keychain in the shape of a yellow dagger. “She picked it out herself!” said her dad proudly. My heart felt warm, and I gave her a huge hug. They went around the room and gave each of us a gift and their phone number. “Anytime you are here, marhaban bikum. Welcome.” They invited us into the dining room and we all sat down once again for a huge meal together. We talked, laughed, and I felt like I belonged there. I learned a lot from that experience. They weren’t the things I thought I would learn, but they are very important lessons that I still carry with me. First, I was finally able to grasp the importance of food in Morocco. Making couscous was our host mom’s way of welcoming us into her home. In the US, food does not usually carry the same weight that it does in Morocco. After this experience, I started viewing food as a way of showing love and welcoming. I think that I began appreciating each meal more, because I became aware of the love that went into it. I also learned the importance of owning up to your mistakes. We made a mistake. I am glad that we owned up to it and apologized instead of just making excuses, because I believe that that led to their forgiveness. I was so grateful for the kindness and forgiveness that our host family showed us, even after what we did. Living abroad makes you vulnerable and the mistakes are inevitable. I grew so much from my experience with that family because of their warm welcome and understanding that lasted even when we did something stupid. It inspired me to try and be more forgiving in my daily life. I learned so much from that village, and I am ever grateful for it.